When Charlie returns to Lichfield, she steps into chaos. The killer is still on the loose, Lady Harcourt's secret is out, Seth and Gus are gone, and Lady Vickers has come to stay. But nothing compares to the chaos inflicted on Charlie's heart by seeing Lincoln every day. Despite their frequent clashes, Lincoln and Charlie manage to work together to narrow their list of suspects. No one can be trusted, especially not the members of the committee who are not what they seem. Long buried pasts are dug up as Charlie and Lincoln attempt to restore peace to Lichfield. Charlie is gone, and Lincoln finds that Lichfield Towers offers no sanctuary. 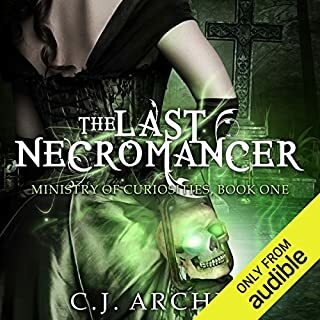 With reminders of her at every turn, and employees threatening to mutiny, he must try to find the murderer who is killing supernaturals on his own. And keep the murderer away from Charlie. When the strongman from the visiting Barnum and Bailey's circus is murdered, Lincoln suspects a link, but piecing together the clues becomes dangerous and difficult work. He can't afford to be distracted, yet he finds he can't concentrate fully on the task. As Charlie and Lincoln’s lives settle into a harmonious pattern, a new threat arises that could have far reaching effects for the royal family and Lincoln’s parents. 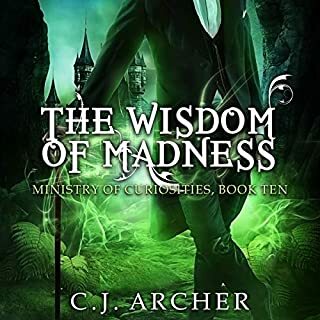 When a seer warns the Prince of Wales that his life is in danger, only Charlie and Lincoln take her seriously. After all, what sensible person would believe a gypsy who claims the danger will come in the form of the prince's dead father? 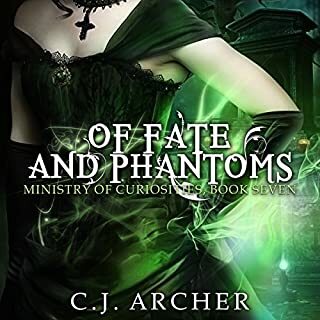 When a young gentleman is murdered by a shape shifter, Charlie and Lincoln interrogate their contacts and uncover a plot with links to the royal family - and links to more than one member of the ministry's committee. At the heart of the mystery is a sinister love triangle, corruption, lies, and treason. 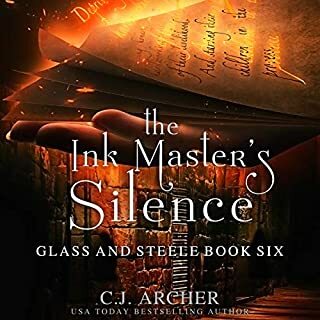 As they close in on their suspects, the dangers close in on them, and Lincoln's protective instincts come to the fore, setting Charlie on edge. 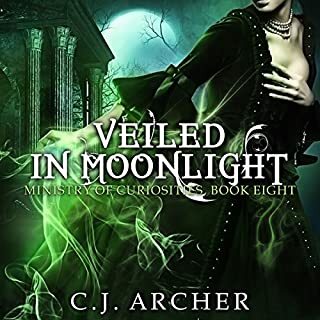 With the wedding only days away, the Ministry is thrown into turmoil when another murder is committed by a shape-shifter. But this time, the newspapers make the connection to werewolves - and the Ministry. Suddenly, the attention is focused on Lichfield Towers and its residents as the police investigate and parliament wants to shut the organization down. It could spell the end of everything Charlie has come to love. 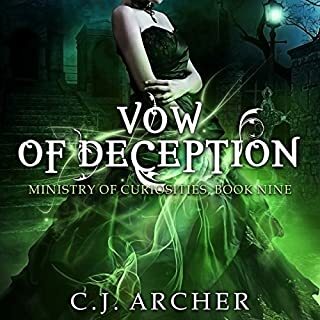 As the authorities close in and ministry secrets are exposed, past allies can no longer be trusted. 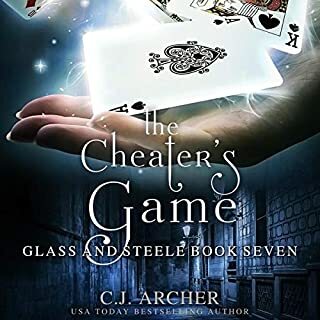 With Alice determined to discover the truth about her past and Seth determined to help her, the couple find themselves sucked into a world where nothing is as it seems and no one can be trusted. 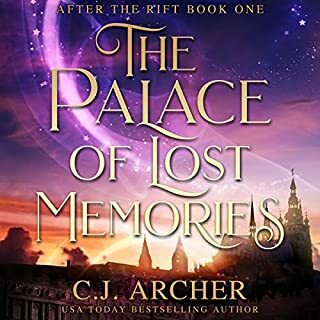 On the run to escape a mad queen's wrath and with an entire realm looking for them, tensions fray and friendships are tested. Even worse for Seth, shocking secrets he'd rather leave buried are brought to the surface. 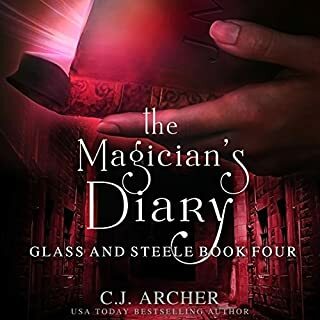 Joined on their adventure by an irritable Gus and a mysterious Eva, the four friends must learn the truth of Alice's past so she can forge her future. At the request of Lady Harcourt, Charlie and Lincoln begin searching for her missing stepson. Still recovering from her ordeal at the hands of a diabolical villain, Charlie is supposed to be resting. But resting is dull, so she throws herself into the task at hand, much to Lincoln's frustration. The search leads them down a dark path littered with family secrets and titillating scandal. Using her necromancy to expose those secrets, Charlie unwittingly raises a spirit with the power to override her control. For five years Charlotte (Charlie) Holloway has lived as a boy in the slums. But when one theft too many gets her arrested, her only means of escape lies with a dead man. Charlie hasn't raised a spirit since she first discovered she could do so five years ago. That time her father banished her. This time she brings even more trouble upon herself. People are now hunting Charlie all over London, but only one man succeeds in capturing her. India and Matt thought all their problems would come to an end once they found Chronos. But the watch magician brings with him as many questions as answers, and a load of trouble. To fix Matt's magic watch, they must find an old diary that once belonged to a doctor magician murdered decades ago. The hunt drags them into a sordid mystery involving two of London's craft guilds. With old and new enemies determined to stop them, and long-held secrets unearthed, Matt and India must work together better than ever. When Dr. Hale is murdered, Matt becomes a suspect. With Matt's nemesis Sheriff Payne influencing the investigating detective, India and Matt know they must find the real killer, or risk his freedom, and ultimately, his life. 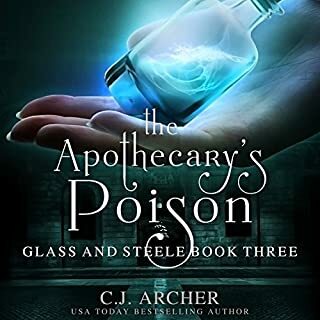 Time is running out as they hunt for a killer capable of turning medicine into poison with a magic spell, as well as continue the search for Chronos. A search that must end in success before Matt's malfunctioning watch stops altogether. 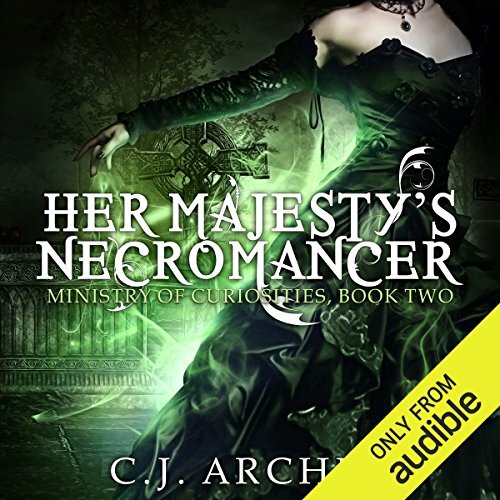 When an apprentice from the Mapmakers' Guild goes missing, Matt and India are employed to find him. 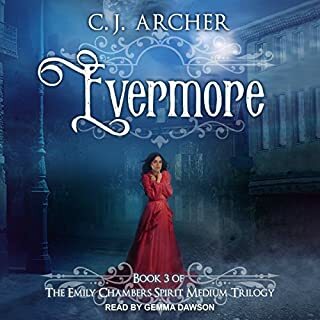 Going undercover as a married couple, they discover that not everyone at the guild is what they seem, and the lad's unearthly maps caused jealousy, suspicion and fear. 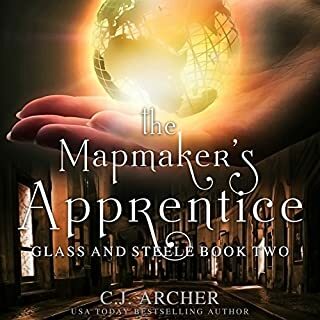 With one of the apprentice's magic maps in their possession, India and Matt must use their wits and India's fledgling, untried magic to find him. 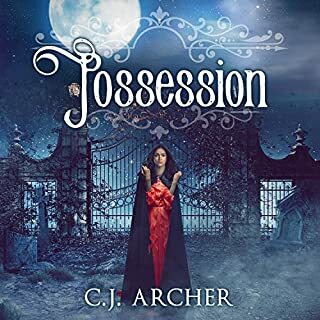 When the ghost of a notorious killer possesses the body of an upper-class youth, London's preeminent medium, Emily Chambers, must exorcise it before the spirit goes on a rampage. As if this isn't distraction enough, she must fight her feelings for brooding ghost Jacob Beaufort, who doesn't like the new man in her life - the handsome and very much alive Theodore Hyde. Charlie's life is perfect. She has everything her heart desires. Until it all goes horribly wrong. 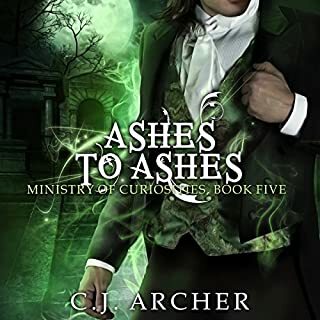 Charlie and Lincoln return to London to find two supernaturals have been murdered, and Charlie might be next. As if that wasn't bad enough, the man who adopted her has escaped from prison, and the committee members have just learned some news that infuriates them. Now there's talk of sending Charlie away again. Far away. Charlie is kidnapped and forced to summon one of the murder victims - but she's unable to send him back. 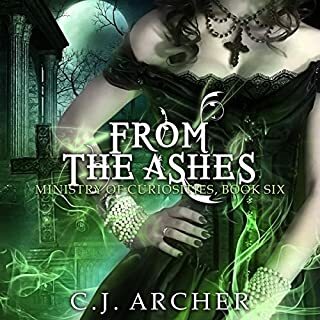 When ghosts begin to disappear from the Otherworld, Emily Chambers and her friends must hunt down those responsible before every last spirit, including Jacob Beaufort, is destroyed and Emily's livelihood along with them. But there is one thing stopping them - Jacob's killer. Weakened and fading fast, the ghost of Jacob Beaufort is determined to save Emily from a bleak and uncertain future. With her family facing financial ruin and the Otherworld in chaos, he knows her only hope is to wed Theo. 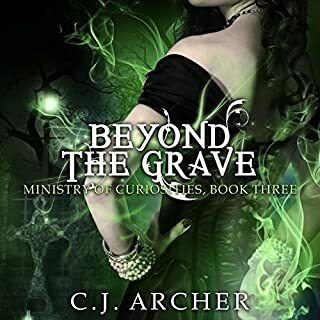 When bodies go missing from the cemetery, Lincoln and the Ministry of Curiosities investigate. But not Charlie. 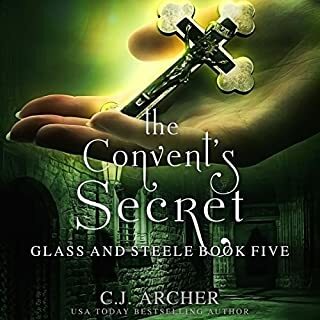 As a housemaid at Lichfield Towers, she doesn't get involved in ministry business. Instead, she conducts investigations of her own. She searches for details about her real mother and makes inquiries into Lincoln's background. What she learns has the power to destroy the fragile trust they've built or bring them closer together. 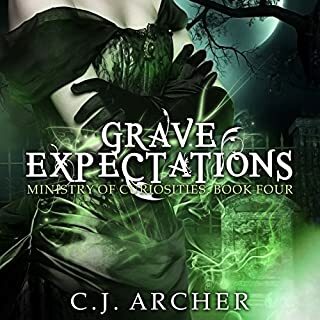 As secrets are revealed and investigations don't go as planned, Charlie finds her necromancy sucking her into a whirlpool filled with betrayal, lies, and danger that could jeopardize her friendships and her home.